It looks not bad, but the hub itself is not well protected in this case. 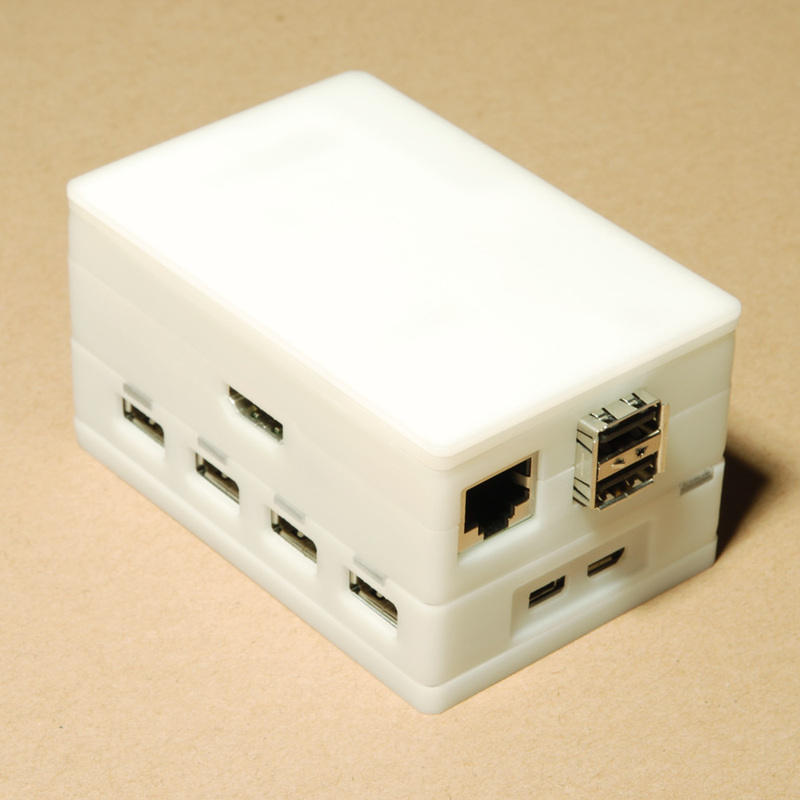 Many users of this hub suggested us to design a suitable case for both the Pi and the hub. 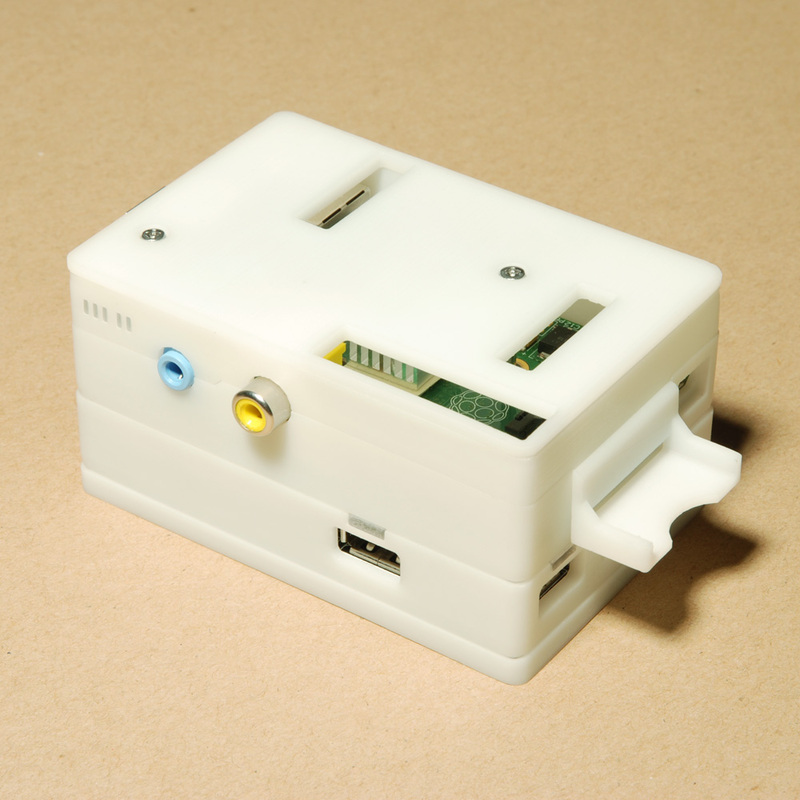 We think that’s a very good idea, and we wish to go further and create a neat solution for combining Raspberry Pi and its peripherals, so we started this project. The figure below shows the basic idea of this project. 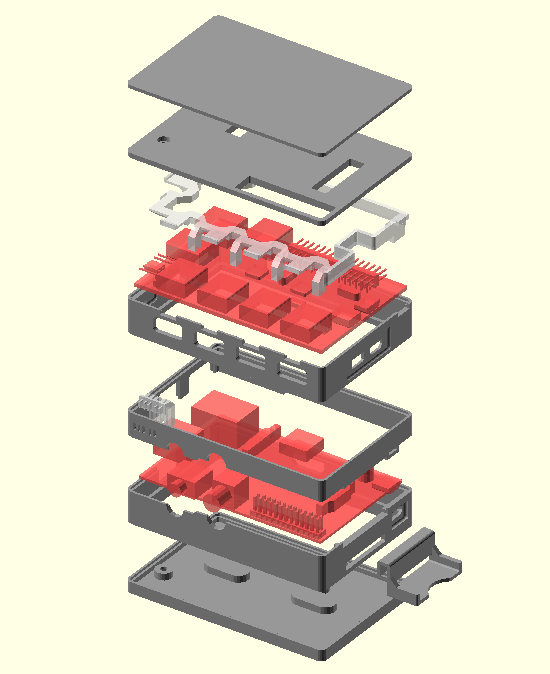 The case is consist of several layers, which can be stacked over each other. 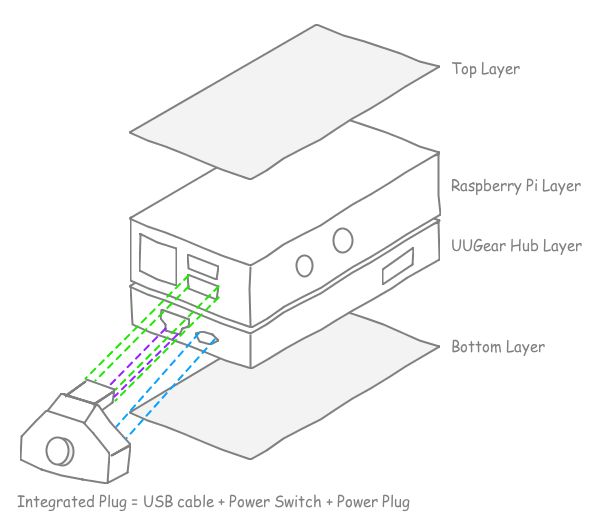 The layer with Raspberry Pi and the layer with UUGear hub are overlapped and they share the same bottom layer and top layer (cover). They can be tightly fixed together by using M2.5 bolts and nuts, thanks to the same size and location of the mounting holes. 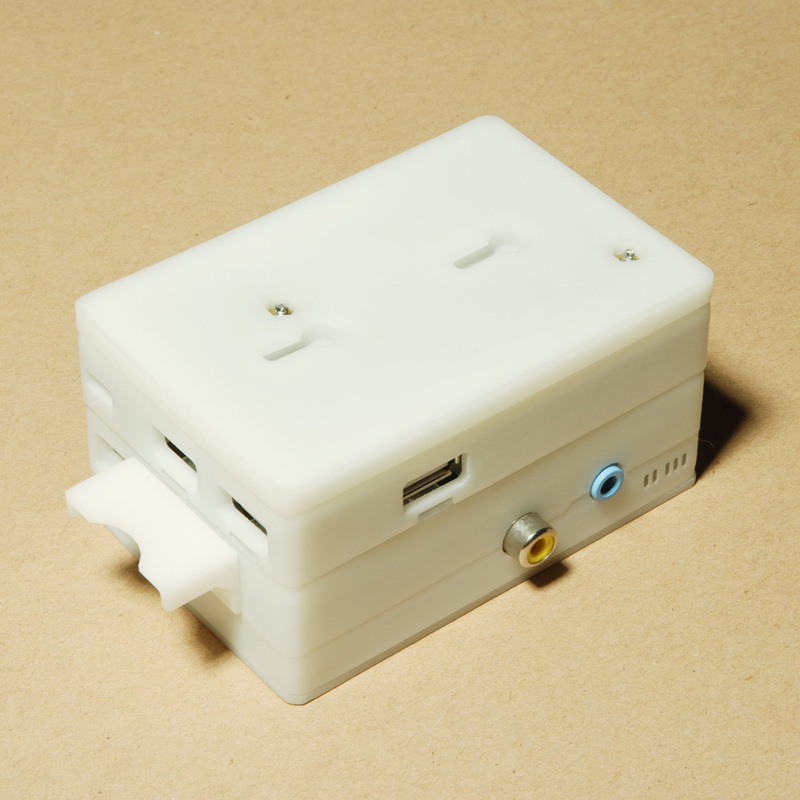 The integrated plug, is designed to make the wiring between Raspberry Pi and UUGear hub simpler and nicer. 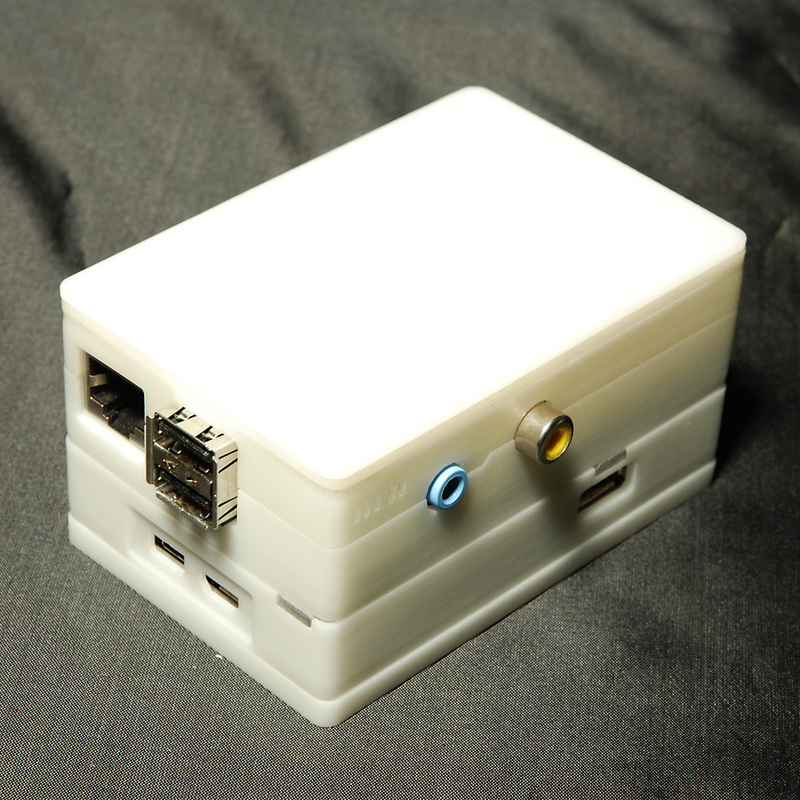 We also want to implement a ATX style power switch that can safely shutdown Raspberry Pi and its peripherals without corrupting the SD card. 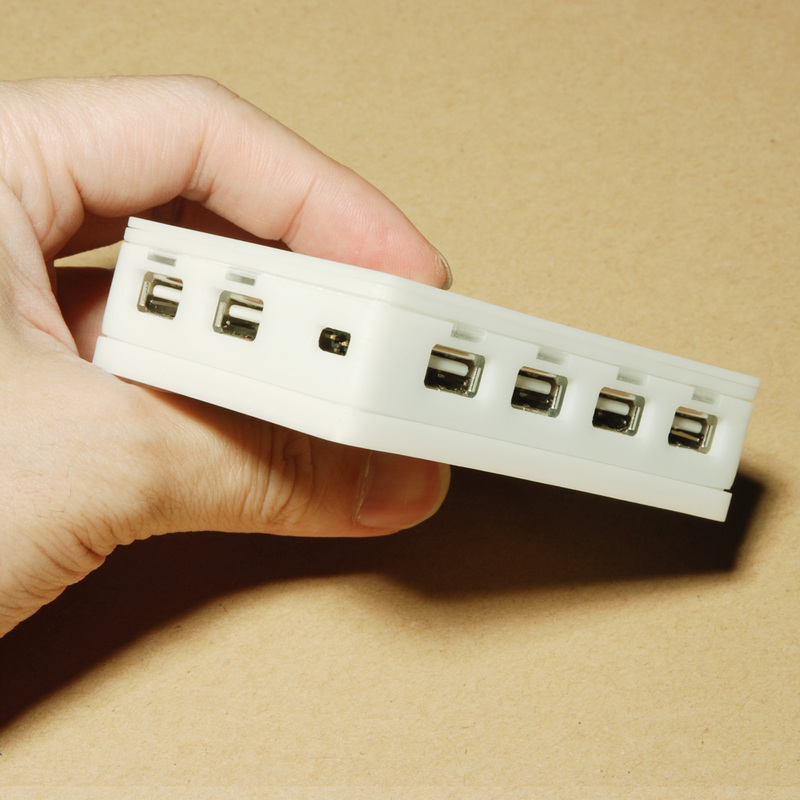 The integrated plug will be designed in phase II. 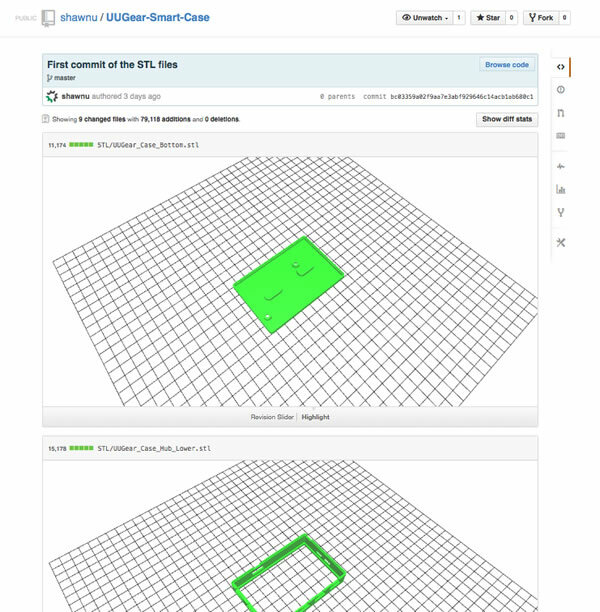 The figure below shows the design of the case. 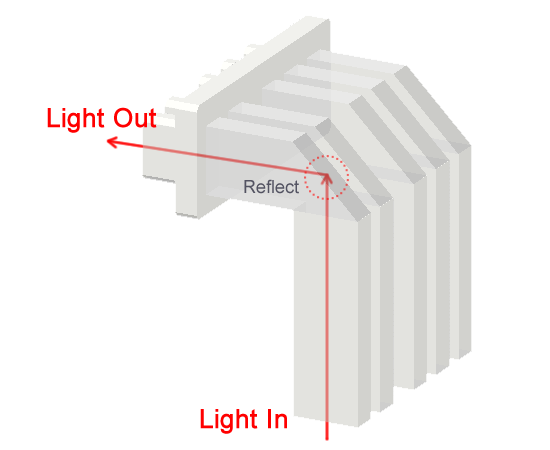 There are 9 parts for the time being, two of them are transparent and will work as light guide. 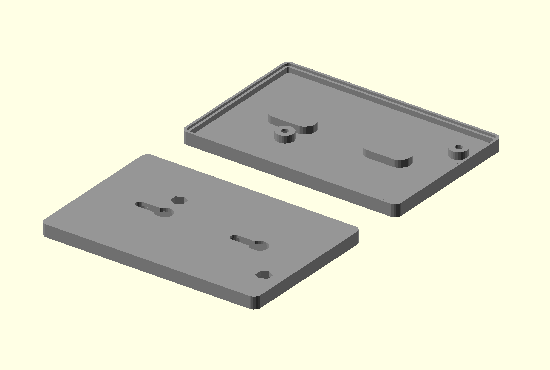 This is the recommended way to assemble the case, and all layers can be fixed with two M2.5 bolts and nuts. 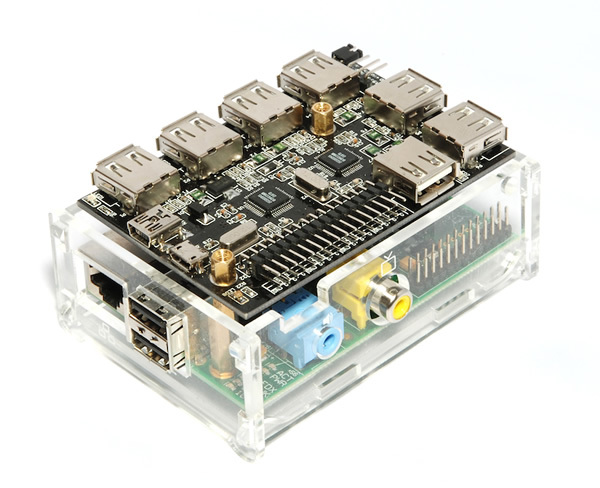 However nobody can stop you from placing the UUGear hub over the Raspberry Pi, or stacking more hubs or Pis as one case. 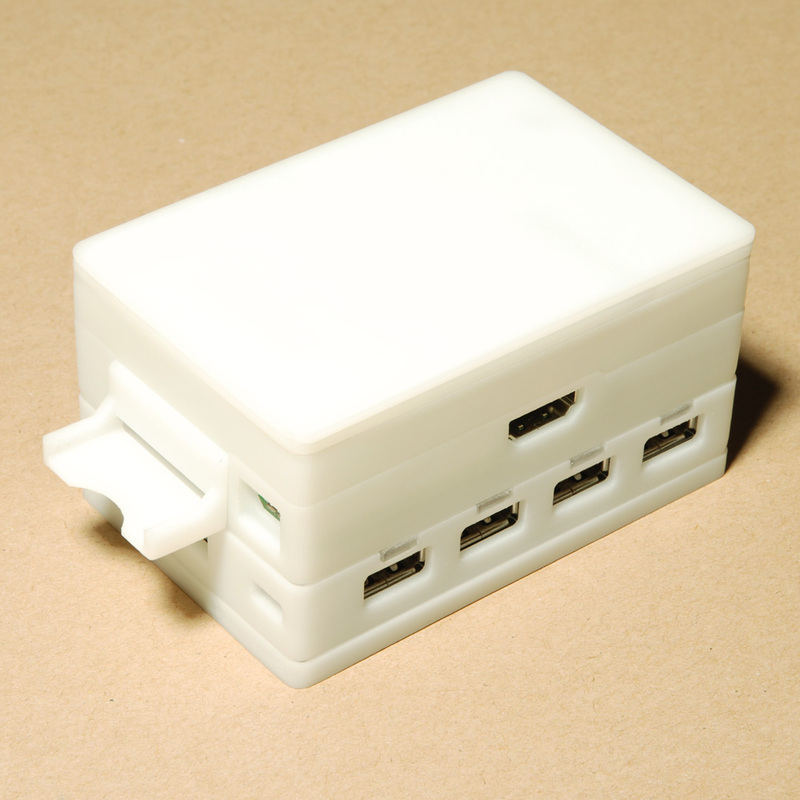 What’s more you can freely combine the layers to single case for Raspberry Pi, or for UUGear hub. Let’s go through the design from bottom to top. 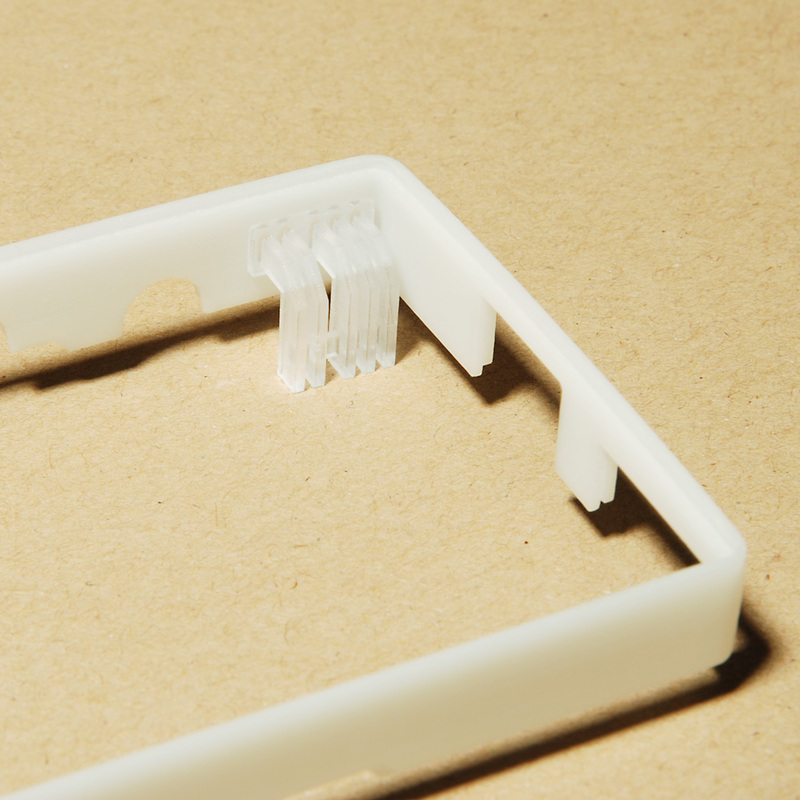 This layer works as the bottom of the case, and it has two screw holes that allows you to mount the case on the wall. 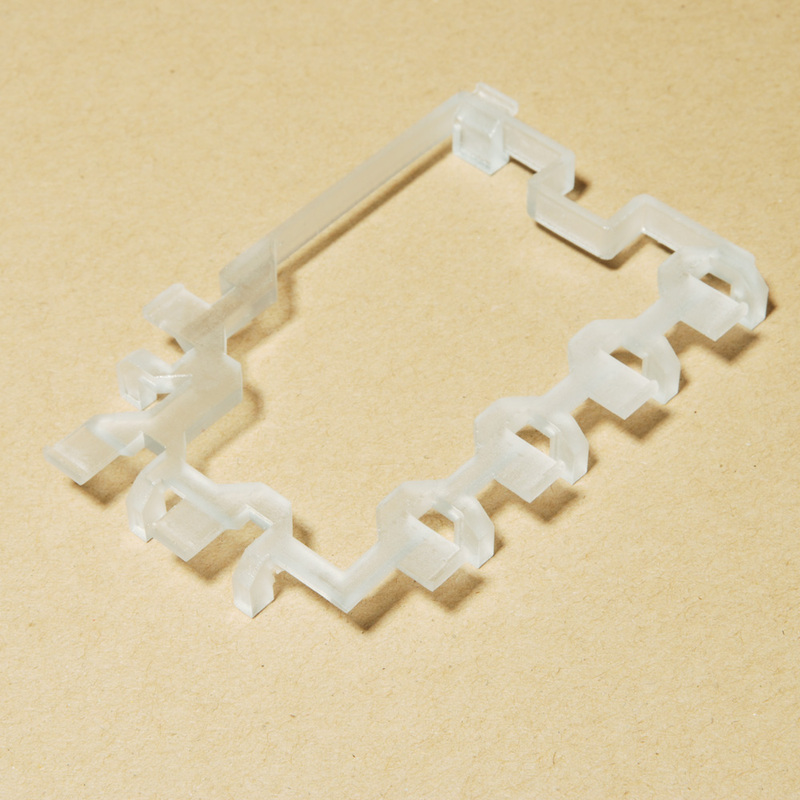 There are also two layers for the UUGear hub. The upper layer is quite special, since it is transparent and also acts as the light guide, which guide the light from LED on board to the wall of the case. 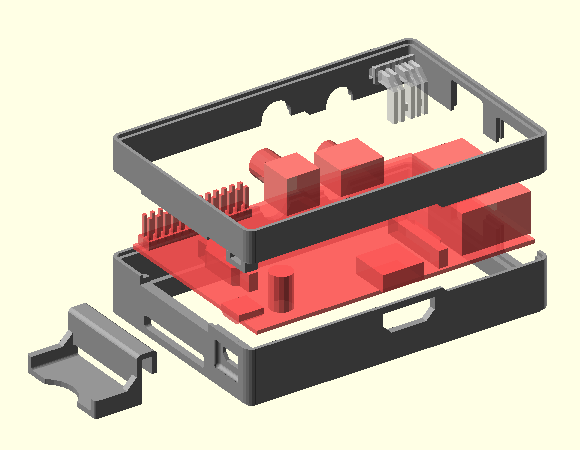 We use two layers to consist the case for Raspberry Pi, also there are two additional parts: the light guide and the SD card tray. 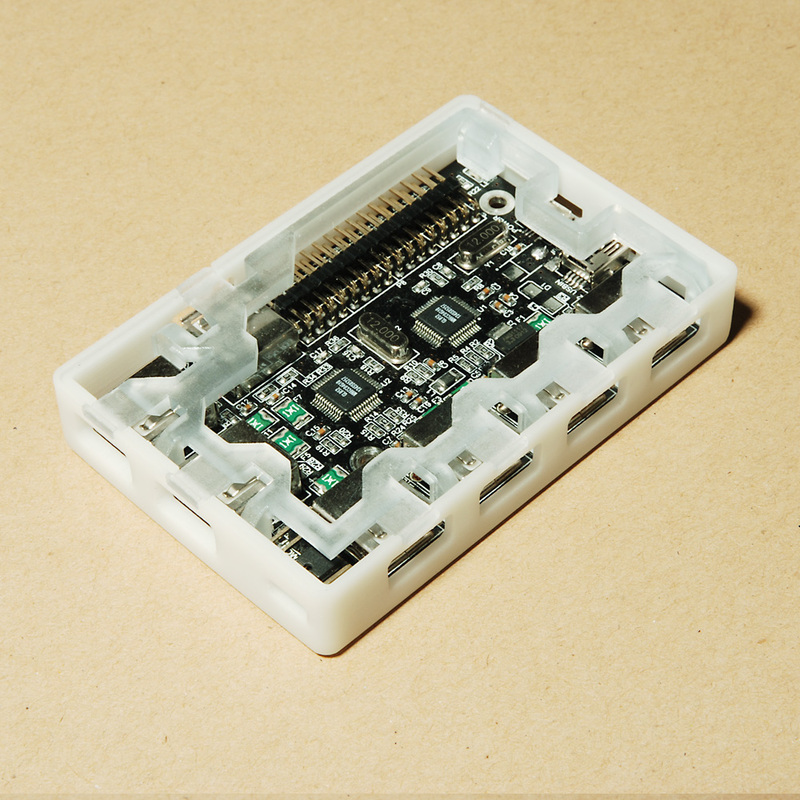 The light guide will introduce the light from the 5 LEDs on board to the wall of the case, so it needs to use transparent material. 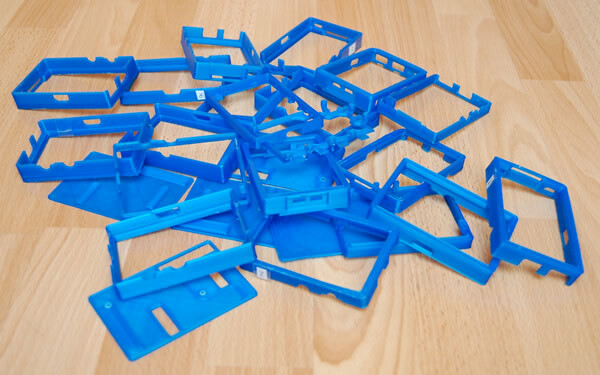 The SD card tray is an optional part, it can protect your SD card from being damaged by falling from the desk, but you don’t need it if you were using the SD->micro SD adapter. 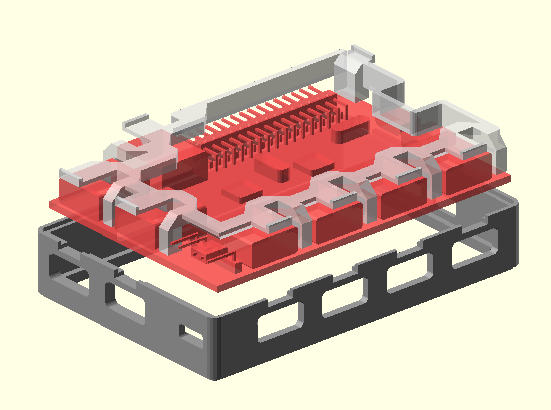 The top layer has the holes for accessing the GPIO pins, DSI and CSI connectors. The cover can be placed over it. 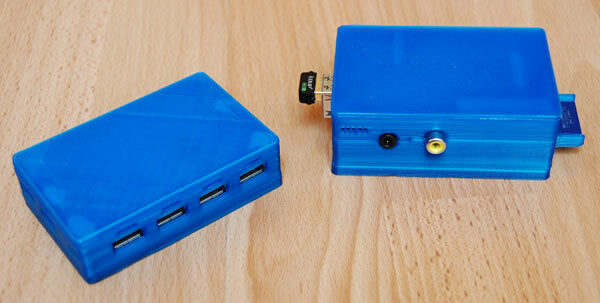 Here are two assembled cases for Raspberry Pi and UUGear hub. 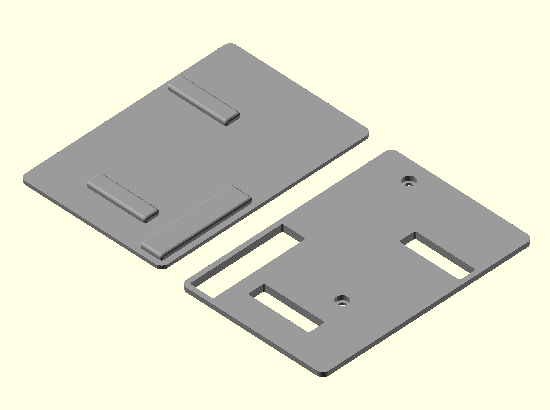 Of course you can merge them into one and save a set of top layer, cover and the bottom layer, but you will need two longer bolts. We even made a prototype with the SLA 3D printing, which has much better surface quality and accurate sizing. 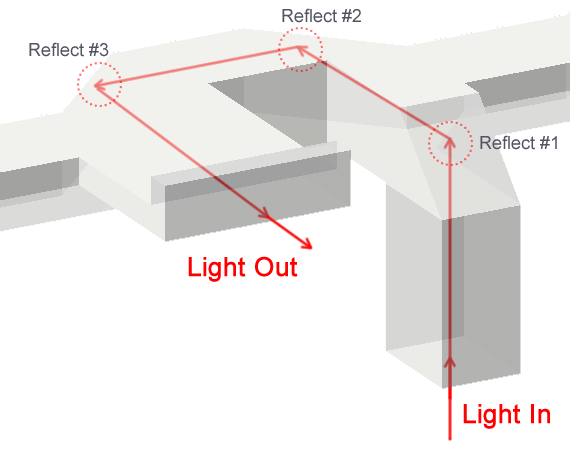 Unfortunately the 3D printed light guide layer is not that transparent, although we chose the “transparent” material. So the light guiding for hub is not working well since it needs three times reflection. 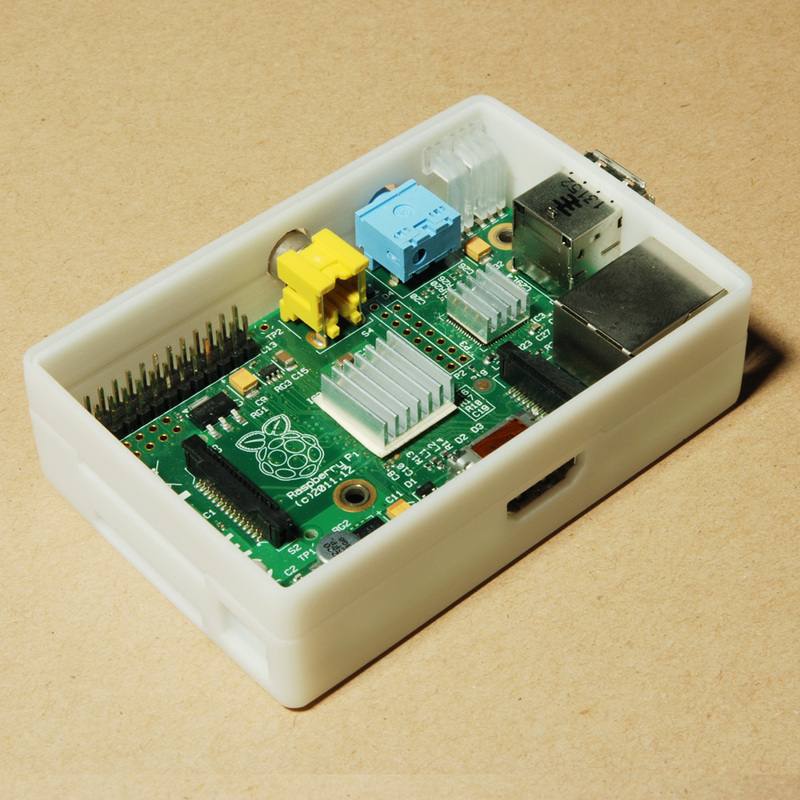 While the light guide for Raspberry Pi can still work, since it needs the light reflection only once. 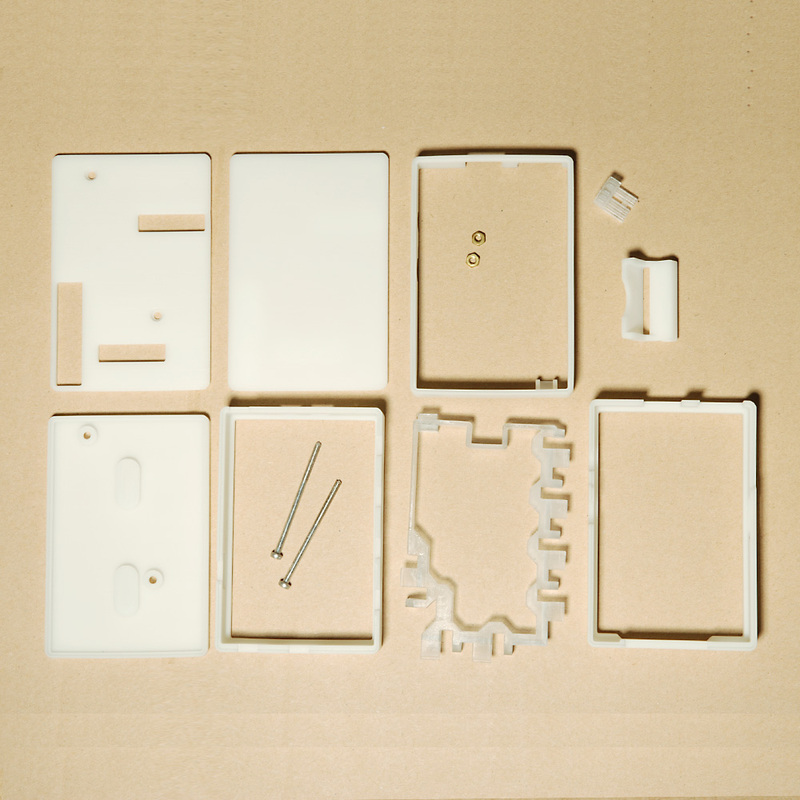 Here is a video that demonstrate how to assemble the case from scratch.